We take great pride in informing all our clients about the specialised team of qualified professionals that are on hand, wherever you are. Our Nurses are ready 24/7 for you and your loved ones. All our Nurses have Basic Life Support and First Aid training. 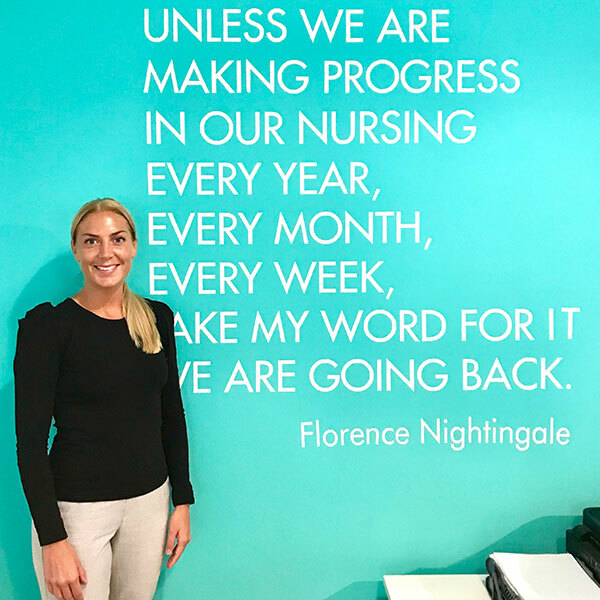 We take our name and inspiration from the founder of modern nursing, Florence Nightingale. 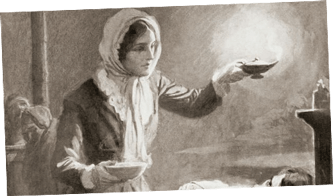 Born in England in 1820, she became known as ‘The Lady with the Lamp’ as she nursed wounded soldiers during their darkest hours. Nightingale nurses are on hand to take care of your loved ones, from morning until night. Jonathan qualified from the University of Bradford in the UK in 2012 with 1st class honours. He went to work for a Private Hospital for 2.5 years with both High Level Professional Athletes and NHS patients, where he developed a keen interest in sports injury and post-operative orthopaedic rehabilitation. In 2014 Jonathan moved to Dubai to further progress his career and be closer to family here. 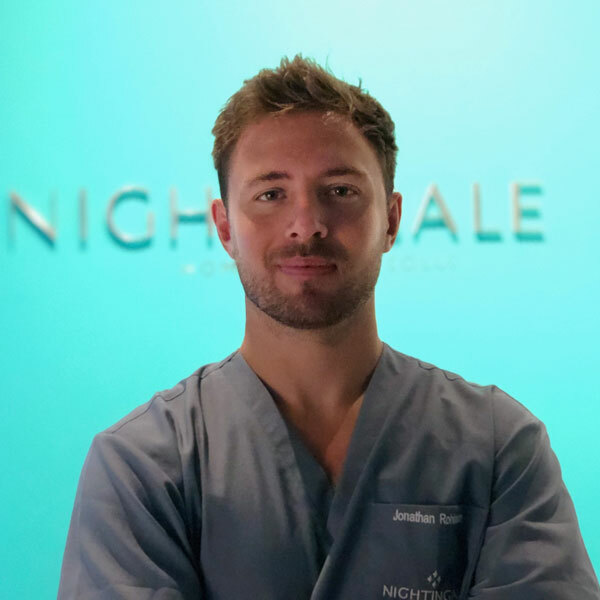 Jonathan strives to provide the highest quality physiotherapy care available in Dubai, whether it’s in the comfort of your home or the Nightingale clinic. I am Malin, a Swedish nurse and midwife with experience from working in Hospitals and the community. I completed my bachelor of nursing course in Sweden 2011 after that I went on to work in the private sector before I completed my master-degree in midwifery and reproductive health. I moved to Dubai in 2014 and worked in labour and delivery unit in a busy hospital. I became a personal trainer during my pregnancy with my first child. My passion is definitely small babies and to help mothers and babies to get the best start as possible together after delivery. I had both my babies delivered here in Dubai and I was struggling with finding support needed when i had just delivered and took my newborn baby home. I am looking forward to meeting expectant and postnatal couples and giving them the advice and support they need. Glendy, Angela, Jo and Glenda. These ladies dont only oversee the operations and functions of Nightingale Nurses but they are the motivation and support providers also. All ladies come from a healthcare background with a combined total of over 20 years experience. 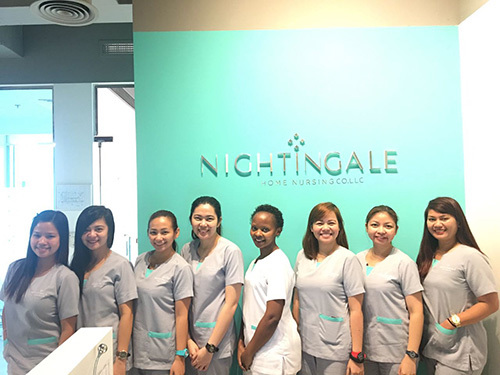 They are passionate about the industry and their roles within Nightingale. 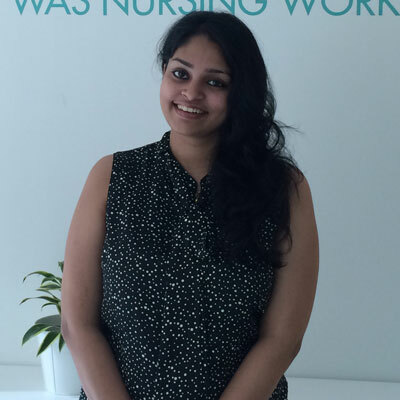 Kalyani is working at Nightingale Home Nursing as HR and has completed her masters in Human resources, she has been in Dubai for 1 year. Her strength is to multitask and she has a strong relationship with all employees, her HR philosophy is “everything that matters about a company is the people” She is passionate about HR and that shines through with her passion to solve problems and by gaining greater results for Nightingale Home Nursing. She has been working with the Nightingale team from the very beginning and holds Nightingale in her heart.